How do you best deal with highly chaotic and complex situations in your business? Marc Amerigo is a leading expert in this field after 25 years of some quite amazing achievements in business and sport. From his experience he has consolidated his approach into ‘The Brainshift method’. He will share the process he used to break extreme World Records (world speed records for a bicycle and snowboard) and also in the application in leading critical industrial situations from nuclear plants to automative and aviation. 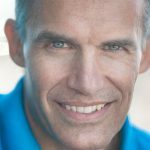 During this interview Marc will explain his brainshift method and share the 3 critical steps to help you move forward and get out of those tough situations. Join us to here how to move from “Chaos & Complexity” to “Performance & Harmony”. Since he was a child, the performance of men in their jet fighters or space ships has always fascinated Marc. Always attracted by complex subjects the role of project research engineer was made for him. Marc studied at the famous French Ecole Centrale de Lyon and then trained at the University of Maryland and at EM Lyon Business School. He is an entrepreneur at heart and has created several companies, including EngiNova in 2012, a company specialising in engineering and innovation that provides high technical solutions from conception to implementation. He is the author of 14 patents in the areas of automotive, industrial containment, industrial cabin painting and sailing. His most convincing achievements came in 2015. Two world speed records (fastest speeds on a bicycle and snowboard) and several outstanding interventions in extreme industrial environments like nuclear plants.